Formerly known as the "Air Mule," this is a flying taxi, or maybe a future unmanned ambulance. Nine years ago, the Air Mule was an almost-believable concept: a flying robot taxi that could get people out of dangerous battlefields without endangering a pilot or crew. It was the exact sort of gizmo one expects from Popular Science: an amazing machine of the future, almost like a flying car, that seemed plausible but just out of reach. The complete flight, which lasted roughly two minutes, was not without errors. 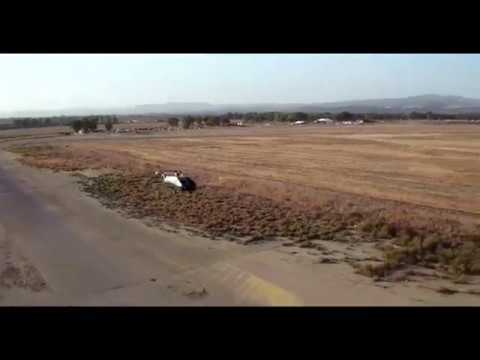 According to Urban Aeronautics, the vehicle’s Flight Control System made the decision to land too early. Decisions by the flight controls are checked by the craft’s flight management system, like a pilot overseen by a captain. These decisions are all informed by an array of sensors, including “two laser altimeters, a radar altimeter, inertial sensors, and an electro-optic payload camera.” Lots of other unmanned aircraft use some combination of these sensors, but few have the unique design of the Cormorant, which puts the rotors inside the craft. That compact, unique design is tricky to get right. But if Urban Aeronautics can figure it out, the result will be a robot that can fly inside cities, weaving between buildings and hovering above any dangers on the ground below.